Just me, or was this a crazy week?! Crazy in a really fun way, though! Even though it’s freezing, it seems like everyone has a little bit of spring fever… I was out and about most of the week, which was a welcomed change of pace. On Wednesday night, my friends at The Everygirl had their five-year anniversary party and I got to catch up with so many of my favorite ladies in the city. I grabbed drinks with my friend Ali on Thursday night and also got to sample Olive Garden’s new lower calorie menu at an awesome space in the West Loop. (Sidenote: It was possibly the coolest brand activation I’ve ever been to in my last six years of blogging. And the food was great, too — You’d never know it was lighter than the OG we know and love.) Anyway, I’ve got a work date today at Soho House, drinks tonight for a friend who’s moving to SF, and celebrating another friend’s birthday tomorrow. Sunday will be a day of rest, let me tell ya! 3. I wish I could say my 300 sq-ft studio in NYC was this chic! Great tips for living in a small space, too. 4. 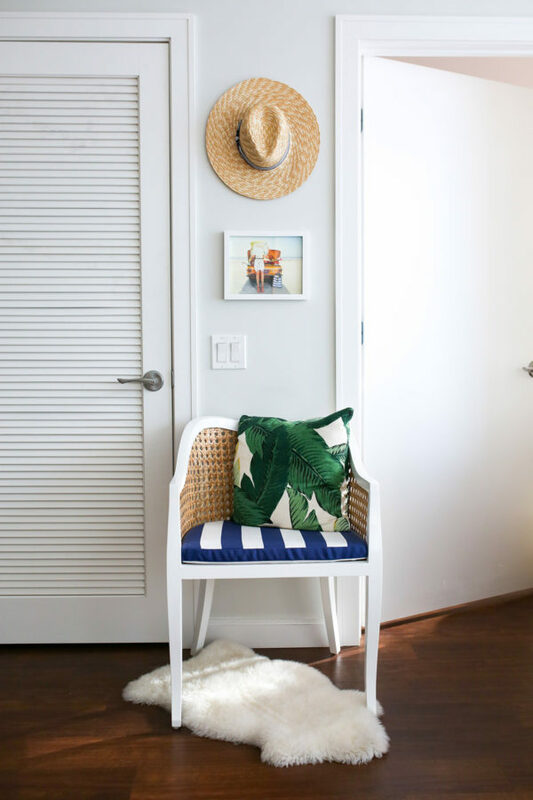 Loved this peek into Julia’s home in Charleston! I can’t wait to see what they do with the renovations… It sounds like it will be a dream! 5. This podcast on The Lively Show was a real eye-opener about seeking external approval. 6. Bookmarking this smoothie bowl recipe! 7. My skincare wish list is a mile long right now… This night cream, this renewing oil, this whole new line (especially the overnight detox oil and AM & PM serum…), this clearing mask, this ‘holy grail of face oils,’ and this new tinted moisturizer! Super intrigued by this face oil, too. 8. I once had a facial at Sisley in NYC (thanks to a lovely gift card!) and it was one of my favorite skincare experiences to date. Their products are pretty pricey, but were so fabulous from the samples I got to take home with me. Currently considering this mask because a) I love masks and b) rose is my favorite scent and c) it has stellar reviews. Are there any Sisley products you’ve tried and loved?! 9. My friend Ashley started a Freelance series on her blog and I’m loving these two posts so far… Time Management + Self-Discipline & Joining a Goal Group! 10. Jenni from I Spy DIY has a pilot premiering on HGTV… Can’t wait to watch it! 11. I absolutely love the look of those classic Hermes leather slides, but they’re obviously on the pricey side. If you’re not feeling spendy, I found this pair for $80 that looks similar, but not *too* similar. 12. My favorite earrings just came out in a few new shimmery colors… Absolutely loving the rose color, lavender, and the black/gunmetal, too! 15. I wore a similar style to these sandals all spring, summer, and fall last year! Mine had a slight heel, but I’m loving how these are flat. (I’ll be taking *all* of the ankle precautions when I’m able to use both of my feet again.) I ordered them in all three colors (obsessed with the navy!) to see how they look. 17. I think these perforated blush sneakers are super cute, too! I’m picturing them with cut-off jean shorts and a striped tee. 18. Bookmarking Grace’s London recommendations for my upcoming trip in April! 20. Obsessed with this white and navy lace dress… So bummed it’s sold out in my size! Just ordered this navy one-shoulder ruffled top, though. 21. If this video doesn’t get you pumped up, I don’t know what will. It’s pretty intense, I was scared at some points and also laughing at others. It’s spot-on though… Bookmark this one for Monday morning! 22. One last thing… I really want to go on some sort of wellness retreat this year… Do you have any suggestions?! Would love to hear, I really have no idea where to start! Miraval and Sedona Mago are the only places on my list so far. Have been wanting to go on a wellness retreat for a while now! Trying to convince my friends to go with me so I don’t have to go alone! Have a great weekend! Jess thanks for sharing the video clip of Eric Thomas. Never heard of him but felt it when he was pointing saying stop blaming everyone else for my lack of success. I wish I was planning a trip to Iceland or Finland… or even a wellness trip- that sounds amazing! Instead maybe I’ll read the article about managing a tiny space and imagine I have a whole country to explore in my house. 😉 Thanks for all the great links! Thanks for the awesome round-up!! Off to read some of these- especially the one on the pomodoro method- heard a lot about that! Your Friday Finds posts have been such a fun thing to look forward to reading during my lunch break at work on Fridays, so thank you!! Loved so many of the links this week, especially the travel-focused ones! Definitely give the Pomodoro method a shot! I’m a full time grad student and work from home part time as well. On days when I do Pomodoros, I’m so, so much more productive and feel much less guilty about wasted time. So good to see you on Wednesday!! xo.